Garway church of St. Michael is one of only 6 Knights Templar churches in England still in regular use. This church (and lands) were given to the Knights Templars in the reign of Henry 11 (around 1170). The Templars originated from nine French Knights who joined together in 1113 to protect pilgrims. They eventually became powerful but feudal. 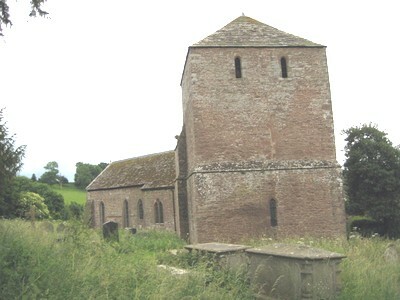 The tower of this church was designed to provide protection for parishioners in the event of hostilites – other such examples in Herefordshire can be found at Ledbury, Bosbury, Yarpole, Holmer and Richards Castle.